Bronchogenic cyst are the type of bronchopulmonary foregut malformation. 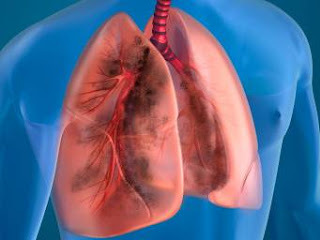 It is a congenital condition in which malformation of bronchial tree occurs. Bronchogenic cyst involves mediastinum and present in the form of mediastinal mass which in turn causes local compression. It is considered the most common type of foregut duplication cyst. Bronchogenic cyst may involve lobar location or extralobar location. In new born babies compression of vital organs due to bronchogenic cyst present in the form of respiratory distress. In adults, it is presented in the form of recurrent infection with associated symptoms. In most of the cases, bronchogenic cyst are asymptomatic. Bronchogenic cyst if left untreated, will show complications and these complications may become severe if neglected. These complications involve ulceration of the walls of cyst, infection which is superimposed, hemorrhage, fistula may occur on bronchial tree. Bronchial atresia (secondary). Bronchogenic cyst may develop into malignant tumor but it is very rare. If it happens, then it is reported with some primary features i.e. anaplastic sarcoma, adenocarcinoma, pleuropulmonary blastoma, leiomyosarcoma and rhabdomyosarcoma. Bronchogenic cyst if diagnosed, should be treated as soon as possible, otherwise it will transform into more severe form and may complicate the case. Bronchogenic cyst if show symptoms, then surgical removal is recommended. In newborn babies, surgery is recommended at the age of 3 to 6 months. Thoracoscopic surgery is performed because it is safe and patient feels less pain. In thoracoscopic resection, there are less or no chances of rib fusion. Normally thoracoscopy is performed but in some special cases, in which patient show symptoms of bronchogenic cyst, other types of surgeries are performed. These surgical procedures involve temporizing or palliative procedures like transbronchial, transparietal, aspiration and puncture in mediastinum. All these surgeries are performed when complete removal of cyst is not possible. Bronchogenic cyst is removed completely via thoracoscopy resection. In thoracoscopy resection, a cut is made right between the ribs of affected side. It is an open surgery. Bronchogenic cyst is removed directly from lungs via surgery. It is performed only when bronchogenic cyst are showing symptoms. In severe cases, cyst cannot be removed completely due to attachment of cyst with the walls of lungs. In that case, bronchogenic cyst is not completely removed via thoracoscopy i.e. the attached part is left as it is in lungs and other part is removed. After Bronchogenic cyst removal, patient may take months to recover completely. Patient have to follow some instructions regarding diet and daily routine for fast and infection free recovery. Patient is allowed to take normal diet but heavy work and exercise is prohibited for about 6 weeks after surgery. Wound of open surgery requires special care. Patient have to clean wound daily to avoid infections. Stitches used are biodegradable which makes healing easier. Some medications are prescribed for pain i.e. tylenol (acetaminophen) and advil (iboprufen). Patient have to call doctor if he experience fever, problem in breathing and worse pain. Follow ups are recommended.